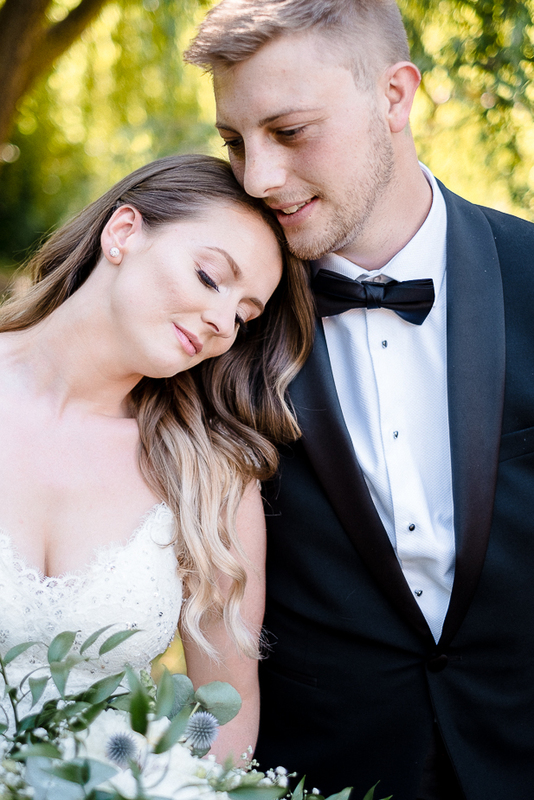 This post has been a few months in the making, and something I've been wanting to share with you all for a while now but figured I would wait until the new wedding season was upon us, so that any bride-to-be's getting married this year could use our wedding for inspiration (if they so wished). 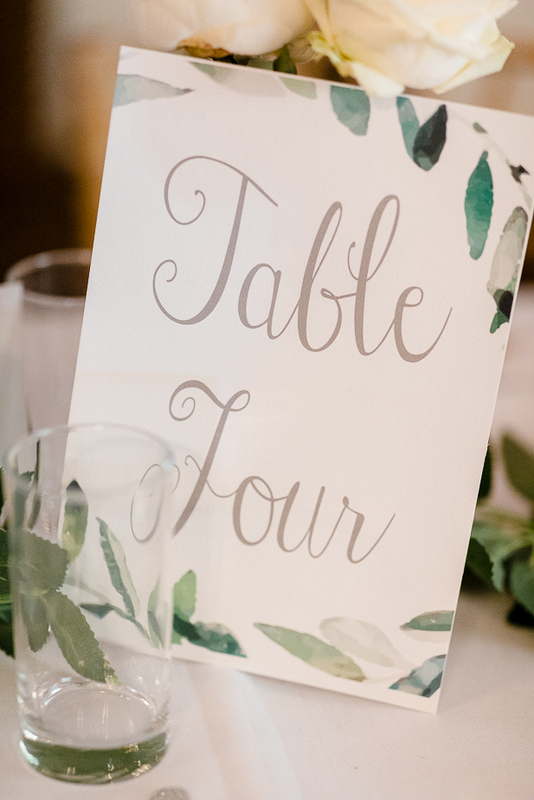 Over the next few Wednesdays I'm planning on sharing with you the finer details behind our big day, how we saved those all important pennies (and where I suggest spending them) and all the beautiful photos from our perfect day! So lets start at the beginning.. Our venue was somewhere we pretty much knew we were going to get married before we even started thinking about getting engaged. 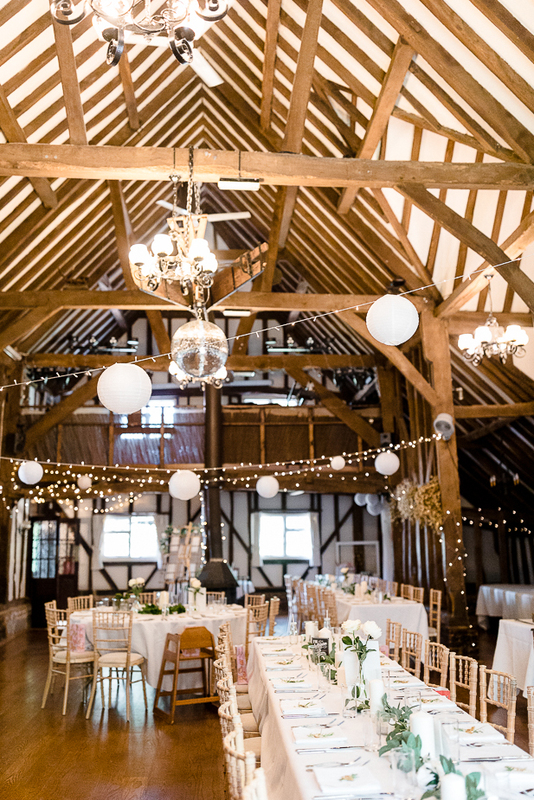 Sam's Uncle had gotten married there a few years prior and we just absolutely loved the feel of their day, the relaxed vibe of the barn with soft fairy lights and lots of natural rustic decor was so up our street and that meant we visited them again ourselves in the winter time of 2016. 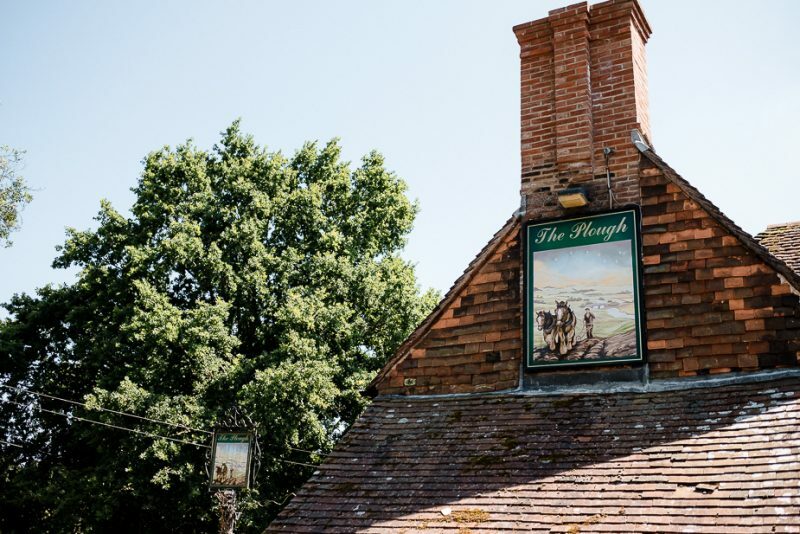 We popped along to a wedding open day they were holding and quickly remembered just how much we loved it in the first place, we quickly placed our deposit and booked our date for 28th June 2018 at The Plough Barn in Leigh, Kent. 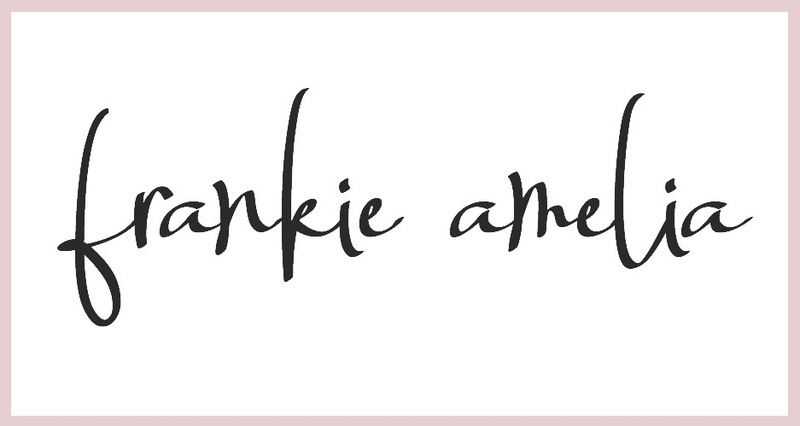 We chose our wedding day to be on a Thursday, this was mainly down to our budget and one way we saved a large chunk of our money, from switching from a weekend to a weekday we saved a significant amount, which meant we could use this money elsewhere, this is definitely something I would recommend if you are wanting to save those £'s. Initially we had worried this would put people off of attending our day but every single person we invited attended, and we figured along the way, anyone who wanted to be there would try to make it, however one tip would be to give your guests plenty of notice so they can book any holiday off work in time! We also gave ourselves one full year and 6 months to save for our day and to ensure we could manageably save enough each month to have things the way we wanted them. 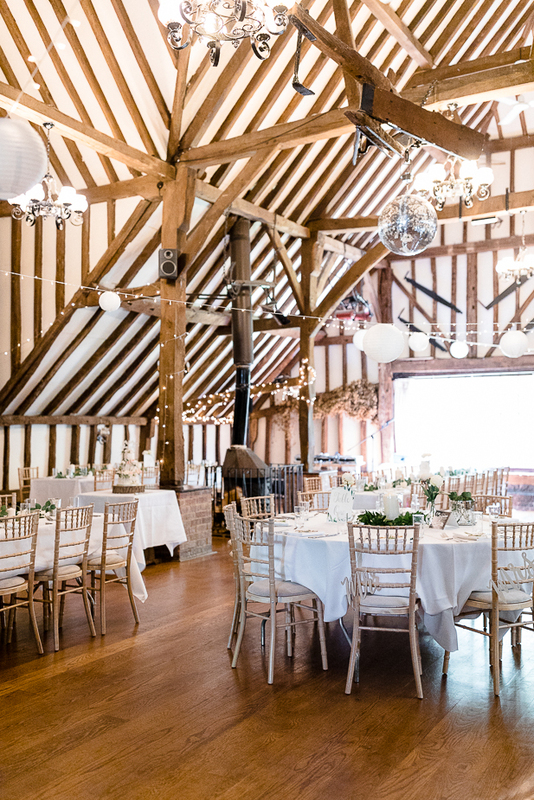 Personally for us this time frame worked best as we lead very normal lives with average salaries and having a slightly longer time frame just gave us peace of mind, so if you're in no rush then theres no harm in booking your date slightly further in the future. 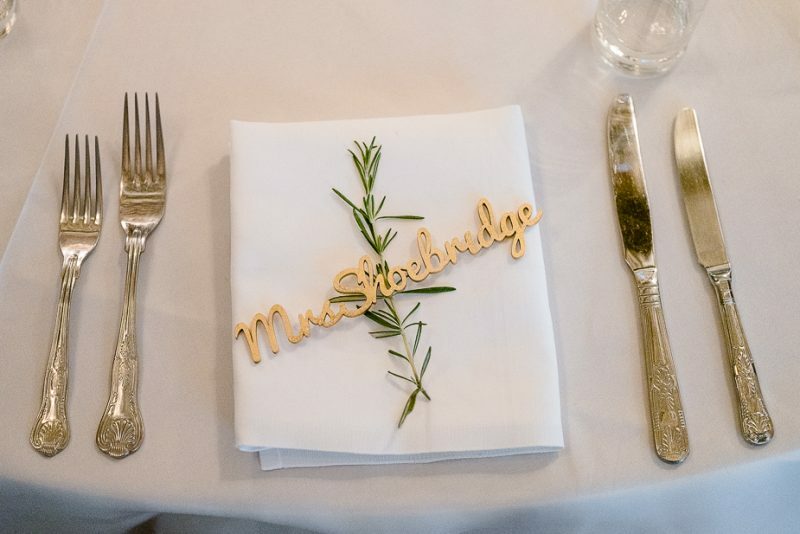 The next 18 months I lived vicariously through other wedding blogs, watched every YouTube video on others wedding planning processes and, of course, had a Pinterest board for every wedding item you could imagine. 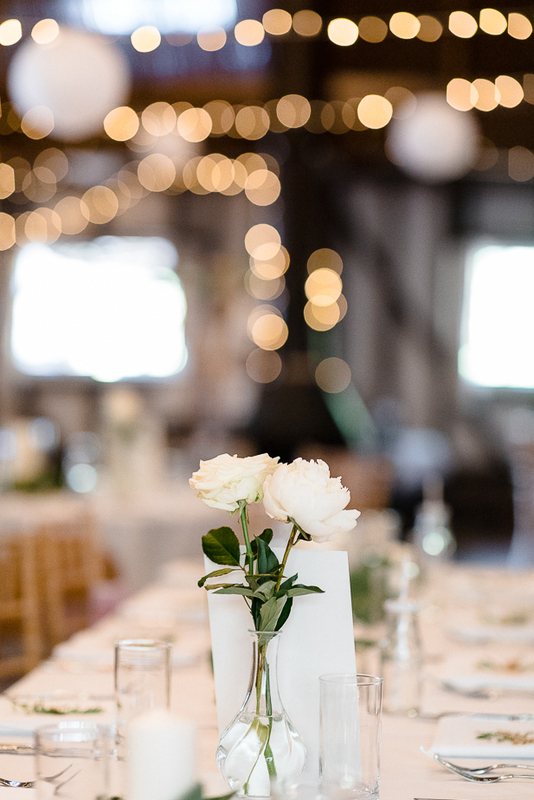 In my head I had envisioned very early on, a very simple decor theme of white with subtle hints of greenery and gold. 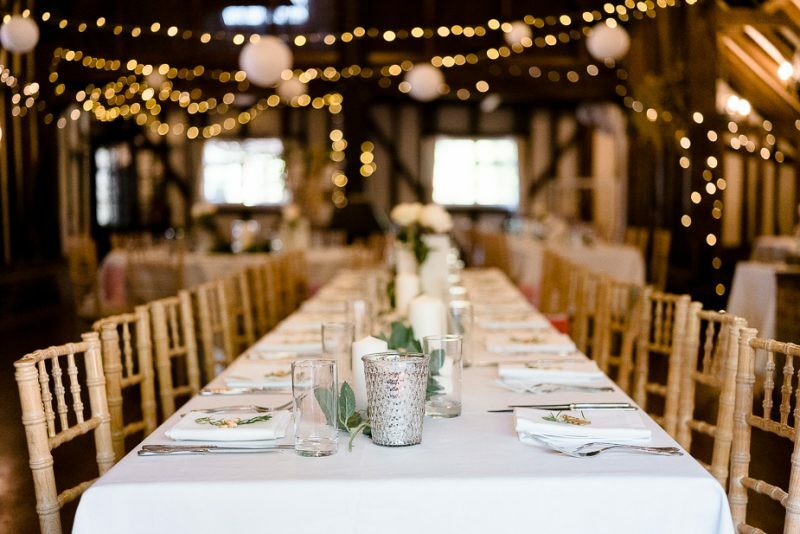 The barn itself did a lot of the talking so I wanted to keep it very understated, we opted for a round head table so we could face everyone we loved the most and then longer rectangular tables for the guests so they could converse easily. I knew I wanted the Chiavari chairs the moment I saw them on a Pinterest photo and luckily the venue worked with a supplier that stocked the exact colour I had envisioned, we had to pay a little extra for them, but I totally think they were worth the spend and finished off the look beautifully. The table decor was something I had fussed about in my head for months and months and on the day before the wedding we had to totally re-arrange our original plans due to my lovely friend and florist being stuck in another country, meaning we had to last minute pick up a few floral table runners from Ginger Ray rather than the eucalyptus garlands I had originally planned! They weren't totally what I had in my mind but on the day they looked lovely and I was so pleased with how it had turned out considering we had such a short turn around on them, we finished them off by weaving a selection of Fenomen pillar Ikea candles & mercury glass votives from The Range in between the garlands which gave such a lovely finish and soft lighting. The place names we purchased from a website called VM Bespoke, whichI originally found via Instagram, they do amazing laser cut wooden pieces in lots of different font styles, we opted for the 'script' font, in natural wood as this made them slightly cheaper when ordering and then we sprayed them with a gold spray paint which I picked up at our local DIY store for around £10. The rosemary was a little touch I'd seen on Pinterest, which was kindly picked from my sister-in-laws rosemary bush at her home and I thought it finished off the look just perfectly, it also meant we didn't waste any money on something that essentially would've been thrown away at the end of the day! 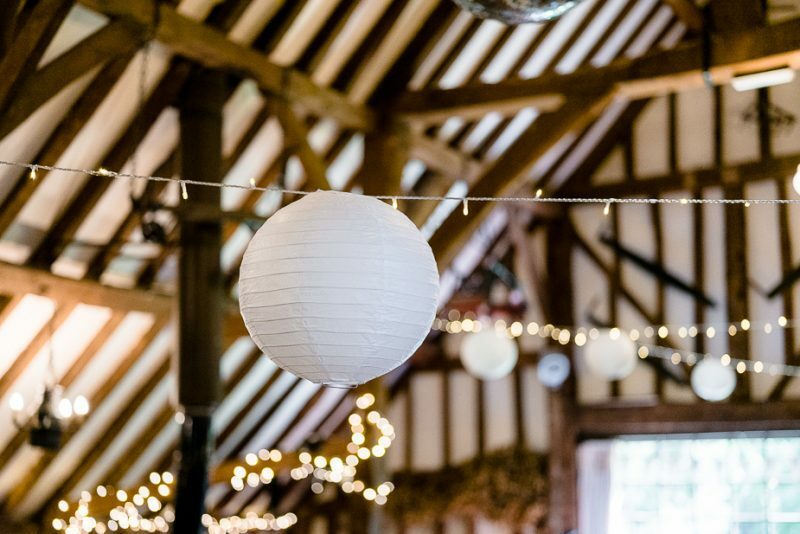 We added a few paper lanterns in amongst the fairy lights above the tables, we bought them in different sizes to scatter around, which added a softness to the wooden barn beams, these were again really in-exspensive, & we purchased most of them in bulk on Amazon. 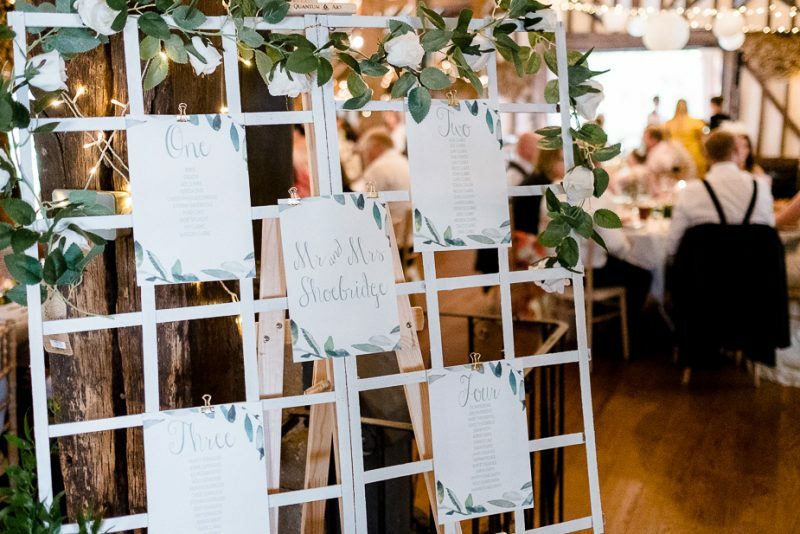 Our table plan was made very last minute, this was one of the DIY jobs that I couldn't quite get my head around exactly how I wanted it to be, initially the plan was to purchase a giant mirror or frame and have the names hand calligraphy written onto the glass, however sourcing a large mirror on a budget wasn't as easy as I thought & in the end I ended up picking up some garden trellis and painting it white, adding one of the Ginger Ray garlands to the top and making the table plan cards out of a template on PicMonkey. 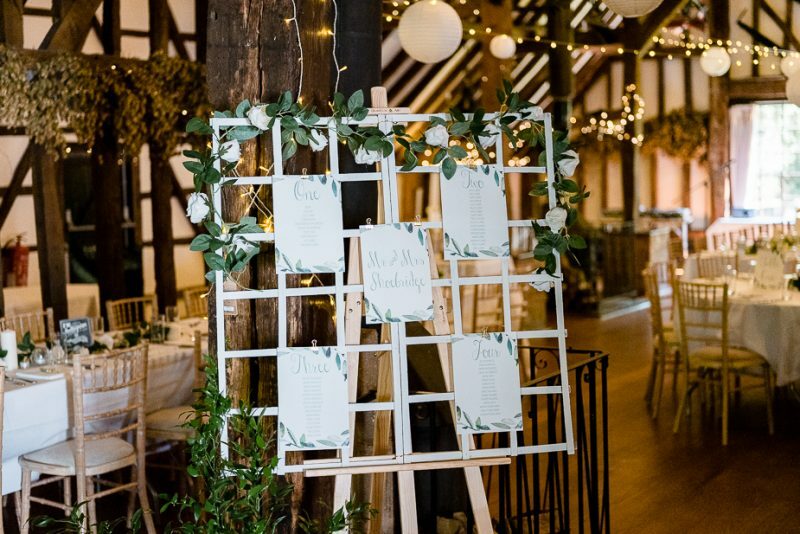 I used the Botanical Wedding on their template section and then added the names of the guests for the tables, this I then printed onto some lovely watercolour card which made it look as if the greenery had been hand painted & attached these onto the trellis using little gold clips. 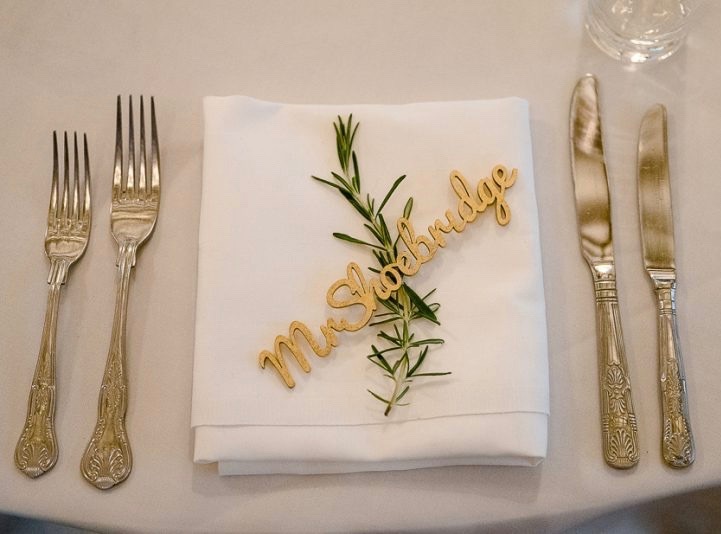 I was so happy with how it turned out and we've kept all the individual table cards in our wedding memory box at home! 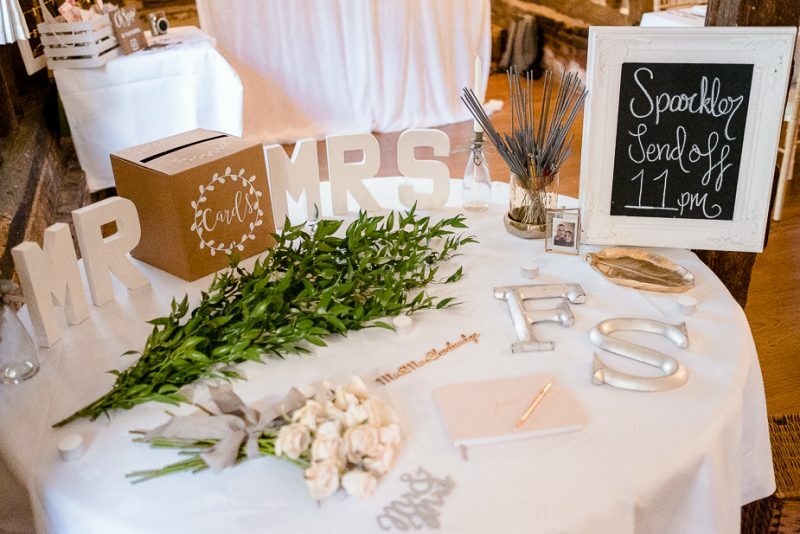 Mr & Mrs Letters, Wedding Cards Postbox, Katie Loxton Guestbook. All the little crafty DIY aspects of the wedding were so much fun to make, and it gave me such enjoyment each evening to sit and craft, seeing all the projects I'd worked on over the months before the wedding on the day was amazing and knowing I could keep them all once it was over with made it even better. 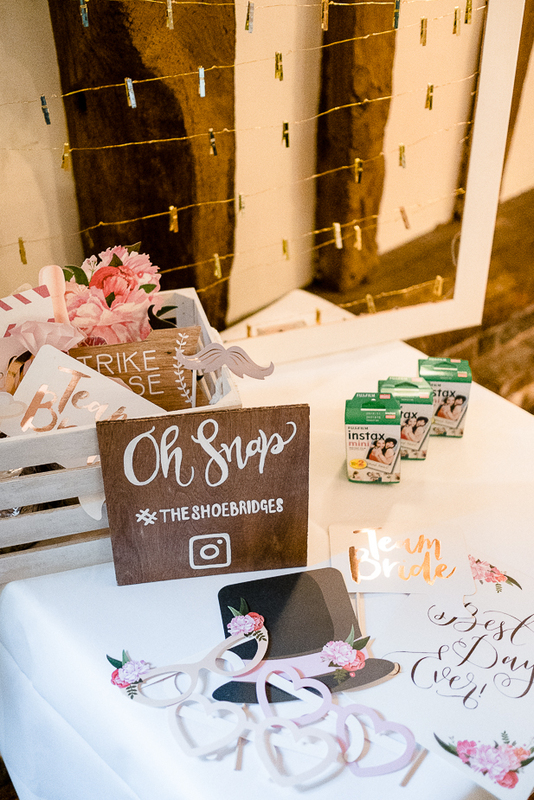 When we visited the open wedding day at The Plough they had an incredible photo booth vendor and it made us totally fall in love with the idea of having somewhere guests could take group photos, silly photos or just photos they could simply pop on Instagram, however when it came down to budget we had simply spent too much elsewhere and thats where the DIY came into play again, the little props we picked up from Ginger Ray and also The Range, I made the little wooden 'Oh Snap' sign from an MDF board which we stained with a wood varnish and then using a white paint pen, I simply hand wrote what I wanted it to say. The frame was one I found in a charity shop for £5, painted with the same white paint as I used for the table plan and then we found the gold clip fairy lights in our local Home Sense, we glued them onto the back of the frame and weaved them so that our guests could hang the polaroids we provided. This was one of my favourite ideas as we have all the little polaroids in a box in our living room and I love going through them occasionally, I think I will find a frame large enough to have them all on display one day in our house so our guests can see them when they come over too! 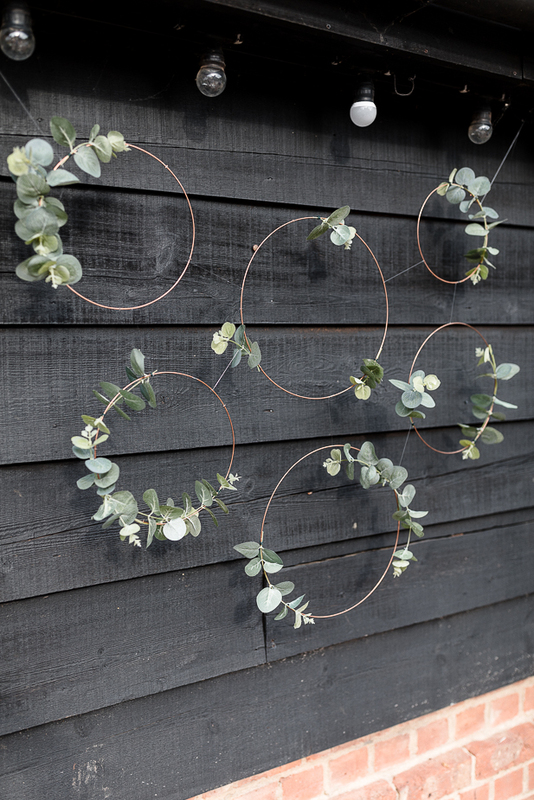 The eucalyptus garland made a lovely backdrop for the outdoor area of the barn, the rings were simple wreath rings that I cut down to individual circles and the faux eucalyptus I picked up again, from Home Sense, I attached it with some green florist wire and then used fishing line to attach them all together, it took a few hours and was really simple to make. 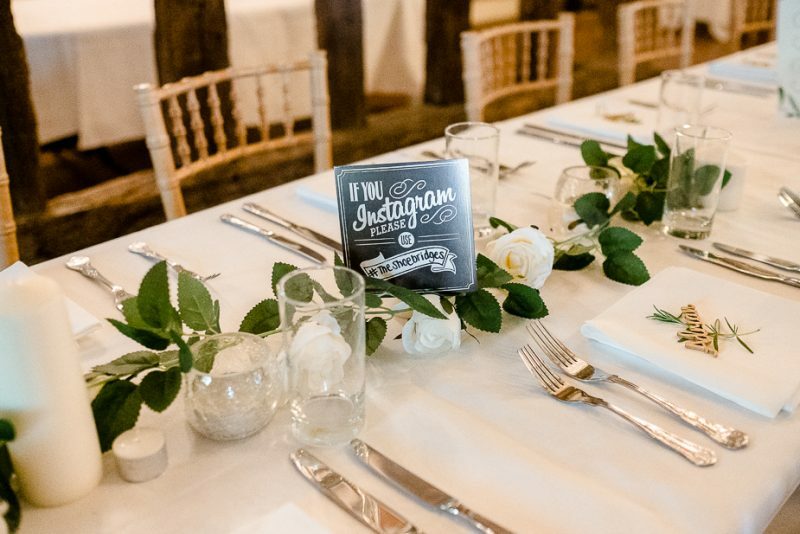 So thats everything for my first Wedding post, I have LOVED reliving our day and cannot wait to share the rest of it with you all, do let me know if there is anything specific you would like to see over here too!